At the February meeting of the Austin Ukulele Society, over 140 ukulele players got together to lament love, strum, and harmonize on a couple of classic Hank Williams heartache tunes: “Your Cheatin’ Heart” and “Cold, Cold Heart”. It is, after all, our tradition to learn a Valentine’s Day song of love in February, and so we changed that up a bit since love sometimes hurts. 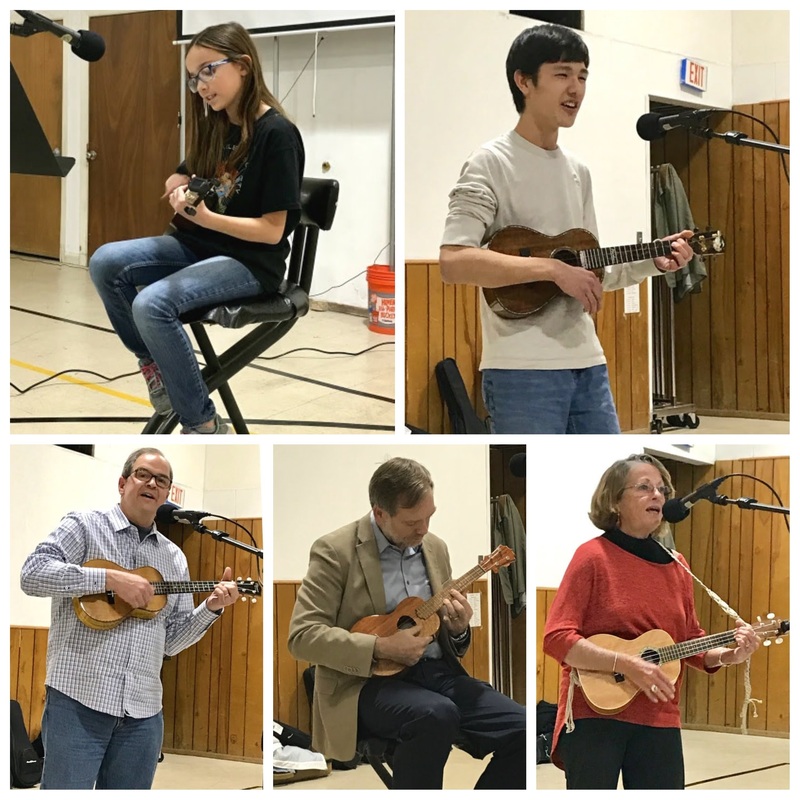 The meeting kicked off with introductions and local ukulele news, including opportunities to play together and support local ukulele music shows – as well as the Ukulele Open Mic Night at the Rattle Inn coming up on Saturday, February 24. After our warm up song, Bob led the group through some helpful chord progression exercises as well as picking and vocal harmonizing options on the Hank Williams medley he put together for us. The group practiced the songs’ parts, and when we put all together, it sounded great! To play along with us, you can download the lyrics and chords for our medley of “Your Cheatin’ Heart” and “Cold, Cold Heart” or download a copy of the presentation and instruction guide (what we project on the screen for all to follow along, including exercises and drills). We’re looking forward to seeing you all on Saturday, February 24th, for Open Mic Night at the Rattle Inn, then back at the Memorial United Methodist Church for our next monthly meeting on Thursday, March 8! This entry was posted in AUS activities on February 11, 2018 by Austin Ukulele Society.